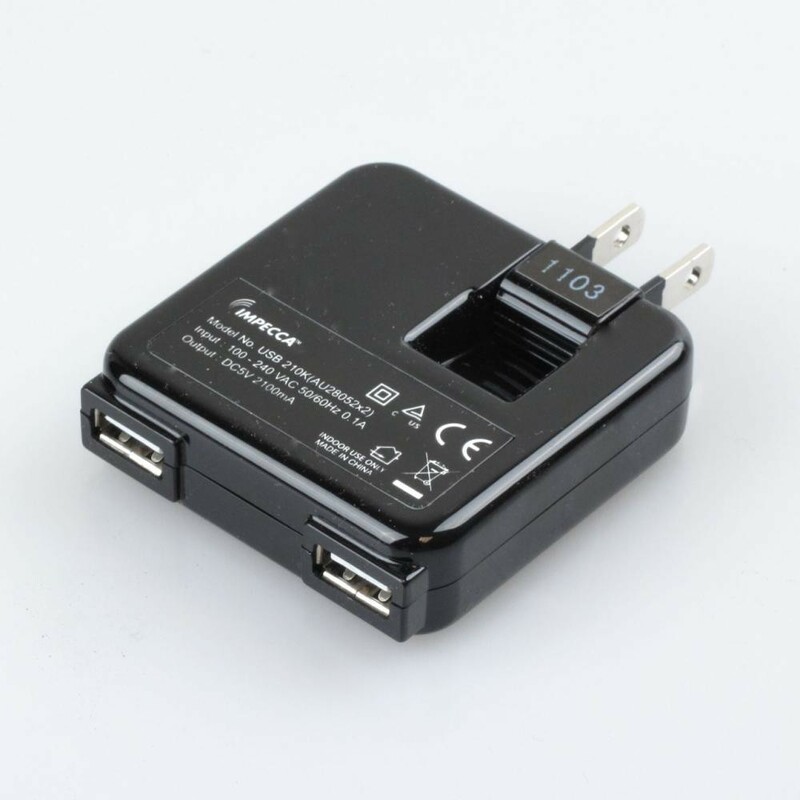 Attractive and effectual, the 10W Dual USB Power Adapter has a smooth piano finish and instantly turns a standard outlet into a double universal USB charger. 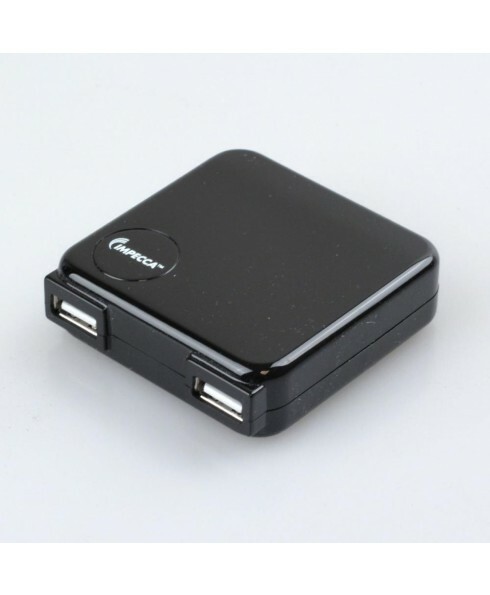 It’s no-fuss compatibility with mobile phones, MP3 & MP4 players, PC Tablets, E-Book Readers, Gaming Devices, Smart Phones, and GPS Systems makes the Impecca™ USB 210 a resourceful and adaptable tool for the mobile user. It’s also super convenient as a effective alternative to only charging your electronic devices at a computer through a USB Cable. The fold-able plug tucks easily out of sight, and the compact design makes this a must-have accessory. You’ll never run out of power; the USB 210 offers an easy charging solution that allows you to charge your PC Tablet, or two other devices simultaneously. 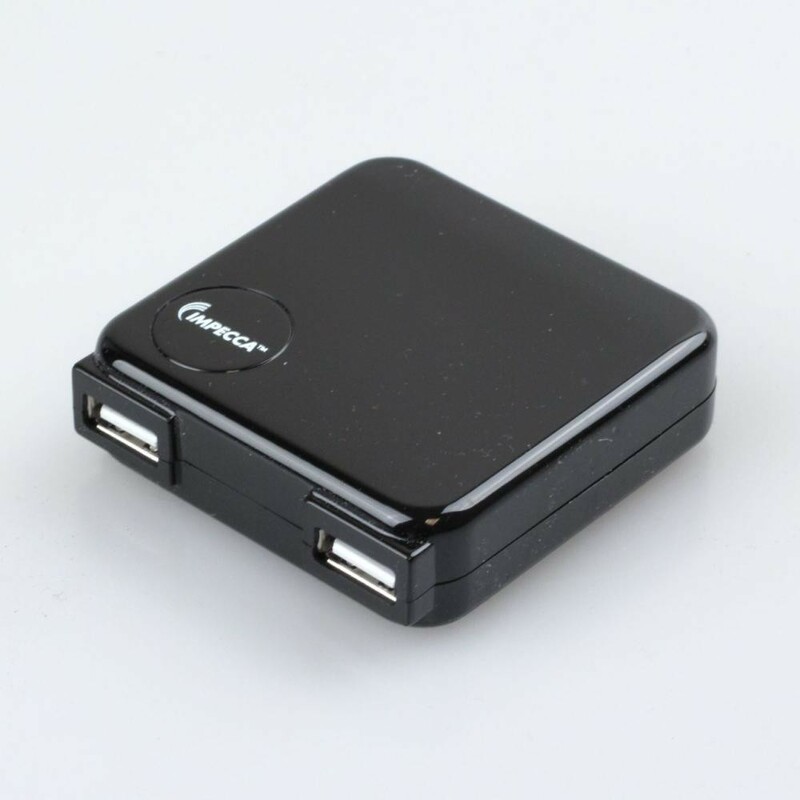 The Impecca™ USB 210 carries a Lifetime Warranty.